ValueServer Review 2019: Is ValueServer a Good Hosting? VALUESERVER is a German company with a confusing website that advertises shared hosting plans that you can’t easily purchase, and good-value dedicated servers that you can. I have some serious concerns about this company. 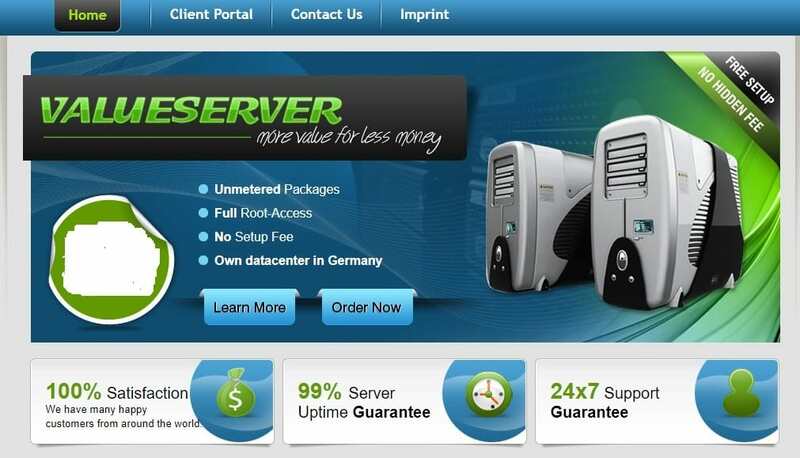 VALUESERVER is a hosting brand of Inline Internet Online Dienste GmbH. This German company has its own data center in Germany, but its website is in English. These shared hosting plans also include the other things you’d expect such as MySQL databases, phpMyAdmin, and FTP accounts, but apparently no beginner-friendly features such as a website builder or one-click installer. Depending which web page you look at on VALUESERVER’s website, it either offers a 99% uptime guarantee (which is low by industry standards) or a 100% uptime guarantee (which can’t be beaten). Either way, the vendor-owned German data center houses servers that are IPv6-ready. Here’s where it gets really confusing. When you click one of the shared hosting packages, you’re taken to the checkout page for a dedicated server, and the price doesn’t correspond with the price of the shared hosting package you wanted to buy. If this is a bug, it’s a pretty bad one, but if you are looking for dedicated servers, I can tell you that they come with full root access, Intel Atom Dual Core processors and SATA HDD. VALUESERVER’s shared hosting plans are priced higher than I would expect, but it doesn’t really matter because it appears that you can’t purchase them at all. The dedicated servers seem to be better value for money, and it looks like you can actually sign up for them, but I would do so with some trepidation. The checkout process is so buggy that you’ll have to contact the company for assistance if you want one of the advertised shared hosting plans. And here’s where it gets even more worrying because my submitted support ticket received no reply. It’s a shame because this provider does advertise 24/7 support. None of this inspires much confidence, does it? According to its website, VALUESERVER has many satisfied customers around the world for its good-value dedicated servers (if not its elusive shared hosting). I’m not likely to become one of those customers any time soon unless I can gain confidence by being able to contact the company. I suggest you proceed with equal caution. Get a good value dedicated server from ValueServer! (if you can contact the company). Wondering how ValueServer stacks up against other Web Hosting companies? Enter any other Web Hosting company and we will give you a side-by-side comparison.